The half mile asphalt track attracts the attention from the stars of NASCAR. Specifically, Kyle Busch who fields multiple machines in the event each year. As a cost saving measure, the rules have been changed for the 2019 event. Five Flags Speedway general manager Tim Bryant has eliminated live pit stops. The race will now see controlled cautions. When a caution flag drops, the laps will not count. Additionally, positions on pit road can not be lost. Drivers will head for the pits and return to the track in the same order that they entered, regardless of how quick the pit stop was. If the leader pits and nobody else does, the leader will still restart at the tail of the field. If the leader and ten other cars pit, then they will catch the tail of the field in the order that they entered the pit lane. 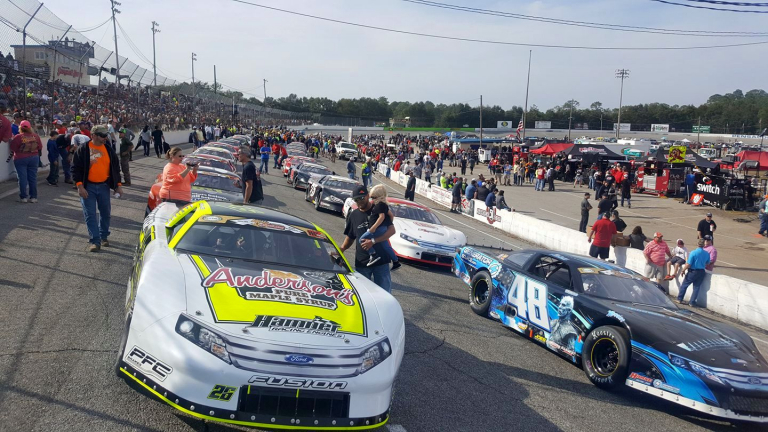 The new Snowball Derby pit stop rules were announced earlier in the week. It came during the drivers meeting for CRA Speedfest at Watermelon Capital Speedway in Cordele, Georgia. Why take away live pit stops in the Snowball Derby? Because it’s damn expensive for small teams. Live pit stops require an entire crew. Usually, this means a check for $5,000 or more to staff an over the wall crew. This gives teams will unlimited funds a clear advantage. As we’ve seen in recent editions of the race, speed on pit road is important. Yet, the teams with less funding and a temporary crew stand to be slower on pit lane. Even if you have the funds to pay for a pit crew, it doesn’t mean they are as warmed up as another crew that does it on a weekly basis. “A lot of thought went into it, and honestly, we were late to the party when it comes to controlled cautions,” Bryant told Short Track Scene. “With the fans in mind, they love live pit stops and we do too, but this is about the cost and what it takes to bring the best pit crews in. Kyle Busch Motorsports is obviously the team that’s typically quickest on pit lane. Noah Gragson took the win for KBM in the 2018 edition of the race. 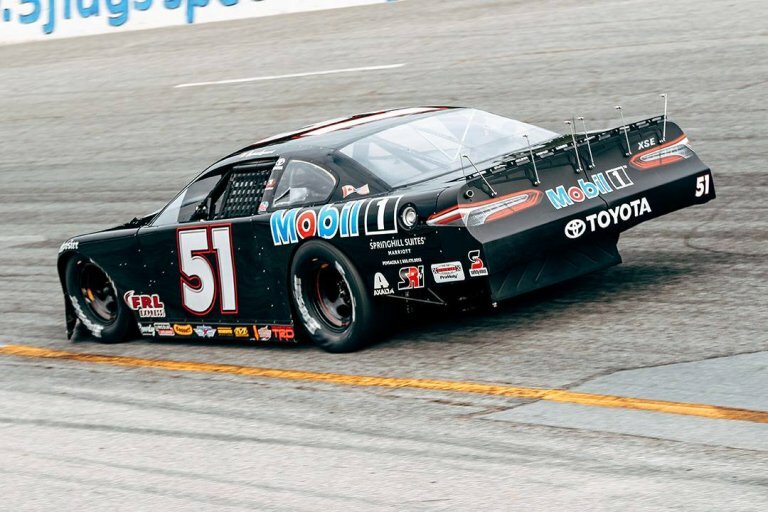 Kyle Busch crashed out of his first Snowball Derby at age 16. He returned the next year and took the win. “Very poor decision. It was the last race where we all knew what it took to win, the last true race where every variable mattered. It’s the freaking SNOWBALL man. It’s the Daytona500 of SLM racing. I’m disappointed to say the least,” Kyle Busch stated via twitter. The drivers are in disagreement. Chase Elliott is a former winner of the Snowball Derby. 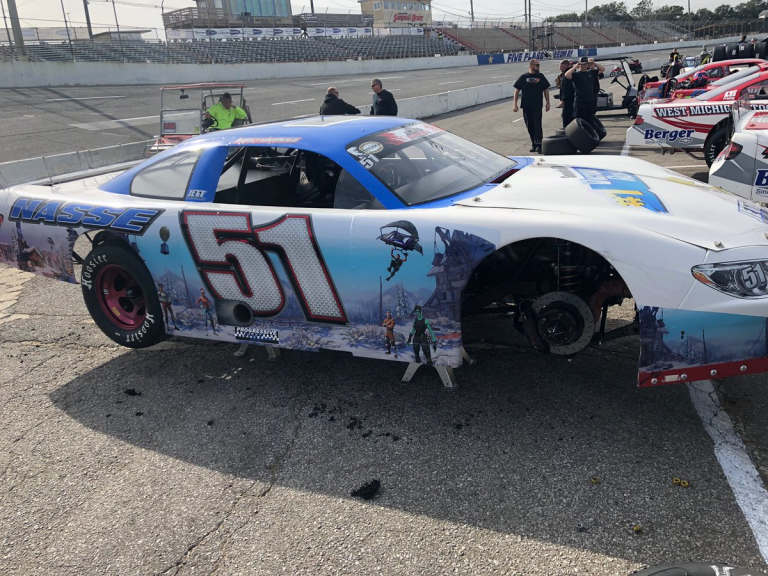 Stephen Nasse brought fireworks to the 2018 Snowball Derby. His hired crew left wheels loose, multiple times. Nasse tried to spin the car out and bring out a caution so he could return to the pit lane. In doing so, the wheel broke off and Nasse put a $100,000 car in the wall. Nasse was fired up with his crew all weekend. They apparently talked a big game and dropped names ahead of the race. When it came time for them to work, Nasse knew they weren’t experienced. “I want to win the Snowball Derby with my team, not guys we paid for one day to do pit stops. Live pit stops are fun though so I see both sides,” Stephen Nassee stated via twitter. The 2019 Snowball Derby is set for December 4-8th, 2019.